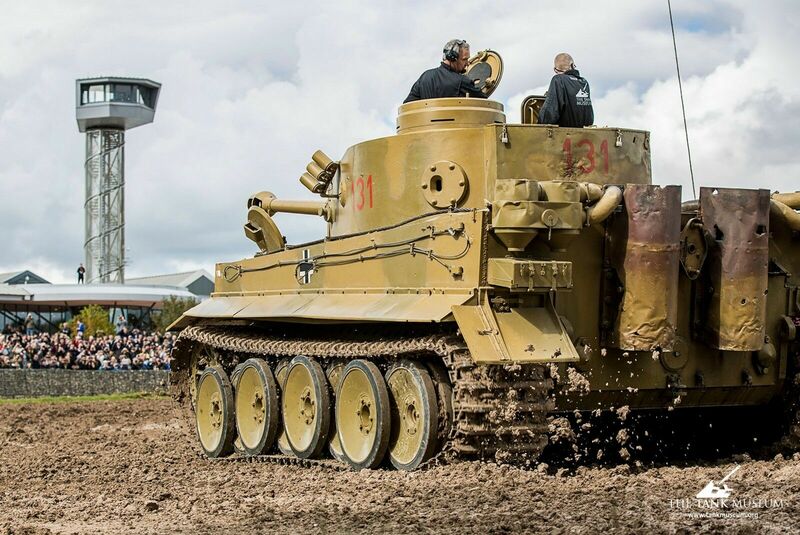 The Tiger I was armed with an 88mm gun. 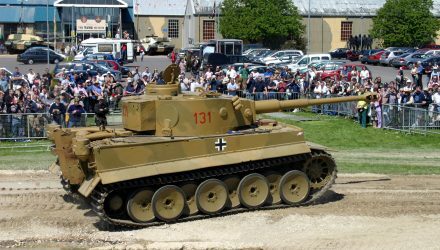 The Tiger II was also armed with an 88mm gun. However, if you tried to fire a round for one through the other, it wouldn’t fit. Why should this be? To try and answer this question, this post will take a brief look at the ways of differentiating ammunition and the guns they can be fired from, and a very basic look at the physics of firing, known as internal ballistics. 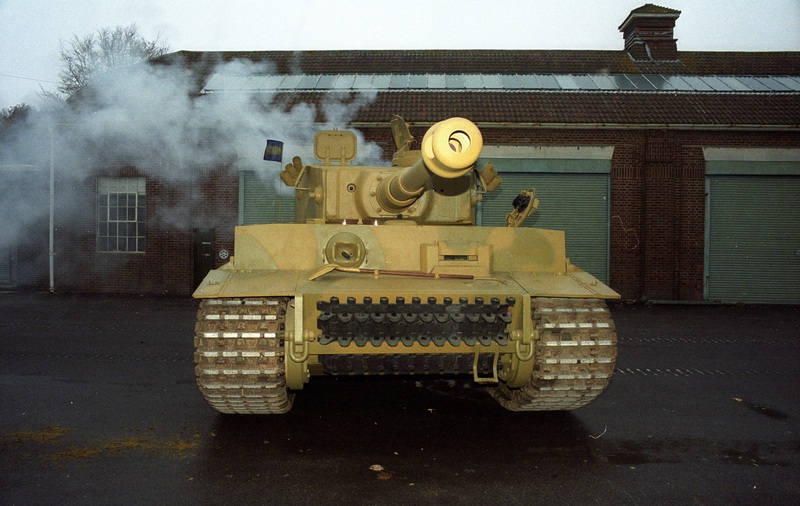 The 88 x 571mm shell fired by the Tiger I (L) alongside an 88 x 822mm round from the Tiger II. When we identify a weapon as, say, an 88mm gun, or a 7.92mm machine gun, we’re talking about the calibre, or, put simply, the size of the hole at the end of the barrel. Unfortunately, as we can see from our incompatible Tiger guns, just giving a gun’s calibre doesn’t necessarily make clear which ammunition you can use in it. There are two other factors that can help us tell guns and their ammunition apart. One is the length of the barrel. This is expressed in multiples of the calibre, and written as L/x. 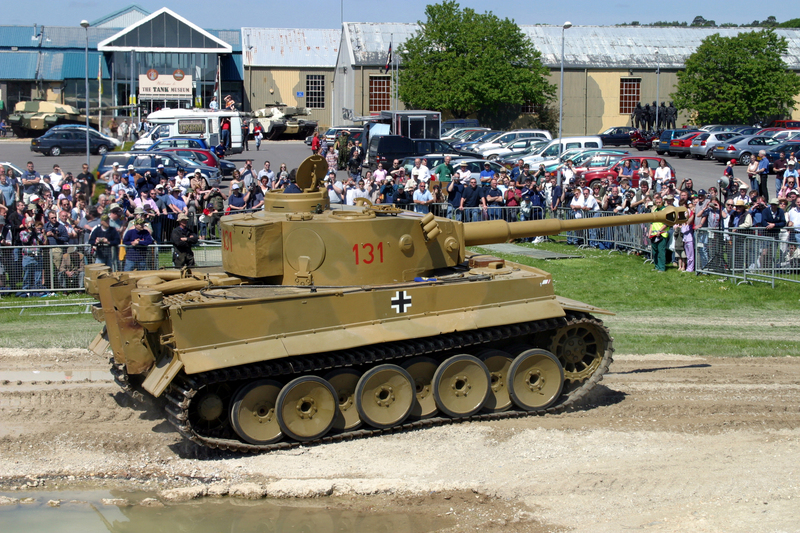 The KwK 36 fitted to the Tiger I is an L/56 gun (88 x 56 = 4928mm), whereas the Tiger II’s KwK 43 is an L/71 weapon (6248mm). However whilst these two do, it isn’t a given that guns with different barrel lengths will need different ammunition. For example the American M2 L/31 and M3 L/40 guns both fired the same 75mm rounds. Of course in reality giving each type of ammunition a different name was usually enough to ensure a unit was sent the right sort, allowing the tank crews to focus on their job. Why make the barrel longer? Put bluntly, the point of firing a gun at a tank is to penetrate its armour. This requires kinetic energy. The more kinetic energy a round has, the more armour it can penetrate. A projectile’s kinetic energy is half its mass multiplied by the square of its velocity, so the easiest way to increase kinetic energy is to increase velocity. A sectioned round. The projectile sits above the case, which contains the propellant. When a gun is fired the propellant in the case is ignited and burns very rapidly, within milliseconds. The burning propellant gives off gas. As the volume of gas increases, the pressure in the case goes up and soon becomes so great that it forces the projectile out of the case and down the barrel. These gases continue to act on the projectile, accelerating it until it leaves the muzzle of the gun. From here air resistance will begin to slow the projectile, so its speed just after it leaves the muzzle (muzzle velocity) is as fast as it can go. A longer barrel on a gun means the projectile spends more time in it after firing. Throughout this time the gases continue to act on the projectile, increasing the muzzle velocity and therefore imparting more kinetic energy. This is why the Germans wanted the longer L/71 barrel. 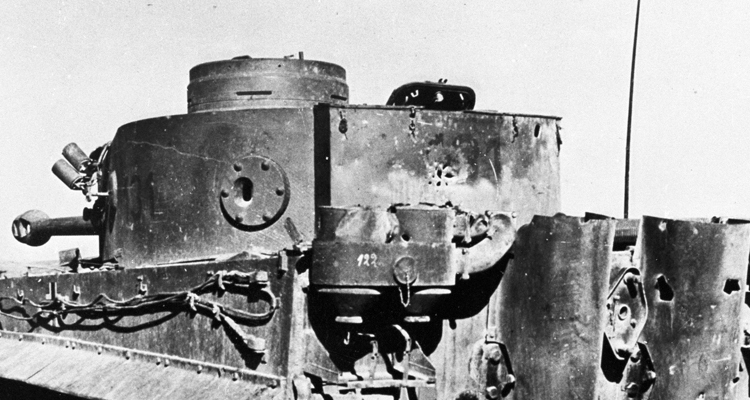 On top of this, KwK 43 ammunition had the larger 822mm case that contained more propellant. More burning propellant gives off more gas, which further increases the pressure inside the barrel, imparting even more kinetic energy to the projectile (This post has massively simplified all the physics involved here!). As a practical example of the end result, the 7.3kg Panzergranate 40 projectile had a muzzle velocity of 930m/s when fired from a Kwk 36. 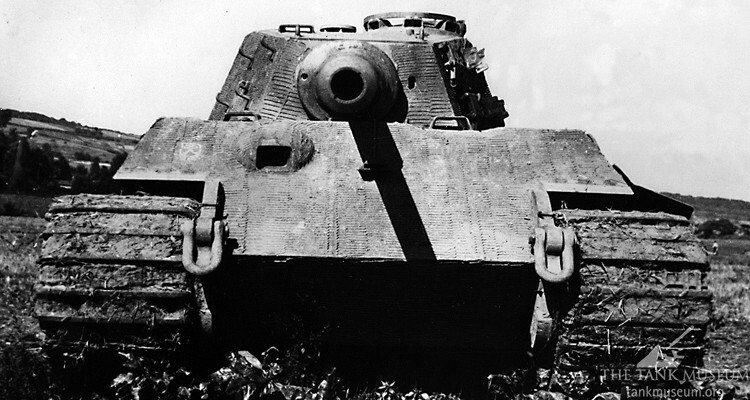 At 1000m it could penetrate 138mm of armour. From a KwK 43 it reached a muzzle velocity of 1130m/s and could penetrate 193mm at the same distance. Of course this all applied equally to every other warring power, which is why every nation’s tank guns increased in size throughout the war. They were just more effective. Very interesting article and photos. The magnum Tiger II shell and case are surprisingly larger than its sibling’s, and likely double the powder charge. What velocities for each? Penetrations? What tests against various armor perhaps can be shown in a later article? (Videos? British War Museum or USA Aberdeen?) And: What will you do when eventually treads, etc., wear out? How I wish I had been able to get to a Tiger Day. Thank you for this succinct and very useful article. I realise that many people who receive your emails are highly technical in their overall tank knowledge and understanding, but as a distinctly non-engineering, non-ballistic, non-techie, I found your simple explanation very instructive and easy to absorb and understand. Please don’t hesitate to produce similar ‘idiot’s guides’ on other suitable topics in the future – I can’t be the only one who might benefit from them!